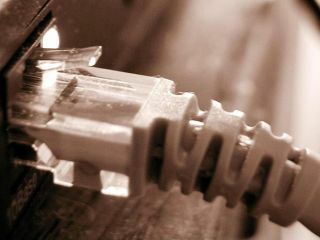 A 75-year-old Swedish woman currently has the fastest broadband connection in the world. Sigbritt Löthberg, from Karlstad in central Sweden, enjoys a massive 40Gbps connection - many thousand times faster than the average connection speed delivered to homes. It's the first time such a high speed has ever been delivered to a home user anywhere in the world. Sigbritt has only recently taking up computing. She is the mother of Swedish 'internet legend' Peter Löthberg, who arranged the connection along with the local council's network department. "This is more than just a demonstration," said Hafsteinn Jonsson, network manager at Karlstad Stadsnät. "As a network owner we're trying to persuade internet operators to invest in faster connections. And Peter Löthberg wanted to show how you can build a low price, high capacity line over long distances," Jonsson told The Local . Sigbritt is now able to enjoy 1,500 high-definition HDTV channels simultaneously. Or, if she doesn't find anything to watch there, there's also the option of downloading a full high-definition DVD in just two seconds. The ultra-fast connection speed has been achieved by a new modulation technology. It allows data to be transferred directly between two routers up to 2,000 kilometres apart, without any intermediary transponders. The distance is, in theory, unlimited - there is no data loss as long as the fibre is in place, according to Karlstad Stadsnät. "I want to show that there are other methods than the old fashioned ways such as copper wires and radio, which lack the possibilities that fibre has," said Peter Löthberg, who works at Cisco. The fibre technology behind such high speed connections is "technically and commercially viable," Jonsson said. "The most difficult part of the whole project was installing Windows on Sigbritt's PC," Jonsson added.